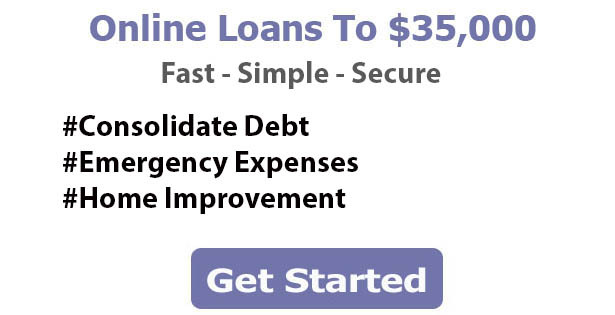 Welcome to Loan Moz, a leading source of information on all things related to Personal loans. Our mission is to review thousands of loan programs, from hundreds of different lenders to help you find the best financing for your personal situation. We work daily to uncover the latest products, market information, changes with interest rates, policy, and economic factors to help gather relevant news and share with our visitors. Our team of writers has backgrounds in all aspects of consumer and business finances, taxes, personal finance, banking, lending, and mortgages. Helping you save money is a full-time commitment, and we welcome your feedback, tips, questions, and suggestions for all things related to loans and money. Whether you are in the market for installment loans, personal loans, short-term loans or unsecured loans in addition to home remodeling loans that don’t require collateral, we have tips and news that should help you navigate the process online. Check out our latest news and articles to help find the best solutions on all things finance. The stock market changes daily, bond rates are moving up and down, what about the LIBOR, these are just some of the items that impact rates, don’t worry we make it easy to understand with simple terms. From changing State regulations to federal finance guidelines, FHA to the FTC, our articles are packed with up to date news for you. If you are searching for options to consolidate high-interest debt, then a personal loan may make the most financial sense for your personal goals. Many lenders are now offering fixed-rate loans with single-digit interest rates. These financing options offer borrowers who are searching for debt consolidation options a great way to consolidate higher interest bills into one manageable payment option that can help save interest every month and free up cash flow. Borrowers who are searching for debt consolidation loans will love the variety of lenders who participate on LoanMoz and the options available. In 2019 personal loans have become much more mainstream and consumers have more options than ever before. Whether you are searching for an installment loan, signature loan or unsecured loan, many lenders are now offering loan options up to five years in length and often times with loan amounts above $35,000 for borrowers with good to excellent credit histories. Borrowers with average to below average credit, there are dozens of lenders nationwide who can often help find you a loan to achieve your financial goals. LoanMoz is on a mission to simplify the way consumers find and compare lenders offering personal loans online. With the convenience of online lending hitting a prime this year, more consumers are searching for online lenders that service their local area, commonly described as “lenders near me” or “personal loan companies in my area”, while the potential to secure a personal loan or installment loan from a local lender is a possibility (think local credit union or bank), it is much more likely that when you start searching online for a new loan, you will be connected with a popular lender such as Marcus, RocketLoans, Avant, NetCredit, Sofi or a peer to peer platform like Lending Club or Prosper. The great thing is at our platform (LoanMoz.com) we can help you navigate the waters on all of your loan options to find loans near me and lenders near me that make the process super simple!